FootJoy has unveiled a number of enhancements to its DryJoys and HyperFlex models for January 2016, which it will claim will enhance the shoes’ comfort, performance and stability. Its D.N.A. technology (DryJoys Next Advancement), returns in 2016 with a re-designed model, while additional improvements have also been made to the DryJoys Casual and DryJoys Tour models, with more colours added to the HyperFlex, the company’s athletic shoe. These upgrades are the first wave of new designs for 2016. The new D.N.A. design feature a brand new upper, a new Tornado by Softspikes TourLock cleat system and the ability to design them in a range of colours on the MyJoys custom service. They will retail from £160. The DryJoys Casual, as worn by Lee Westwood and Louis Oosthuizen, now has new styling and colours-ways. 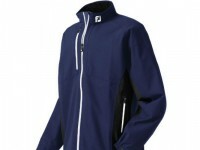 Popular among golfers of all ability for its comfort and stability, prices on the DryJoys Casual will start at £135. 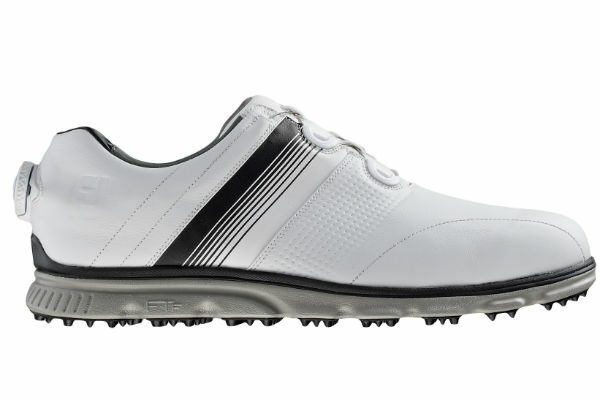 Its close relation, the DryJoys Tour – as worn by Zach Johnson – now has a softer ChromoSkin leather for added comfort and new patterns and styling. Prices start at £145. The HyperFlex shoe now comes in a range of colours, including Navy/Electric Blue, White/Lime, Black/Red, White/Metallic and Silver/Yellow. The popular Black/Silver/Yellow and White/Light Grey/Royal Blue colourways continue for next year with prices starting at £140.